Can I make one of the LEDs on the Ethernet port do the same thing as the ACT led? The case I've got my Pi in, does not allow me to see the ACT led so I do not know when its okay to cut the power after shutting down the Pi. I can't seem to find out anything about them. You can clearly see the two LEDs labelled YELLOW and GREEN are hardwired to the connector pins. A hardware hack that might work although if your not confident with electronics do not try this. 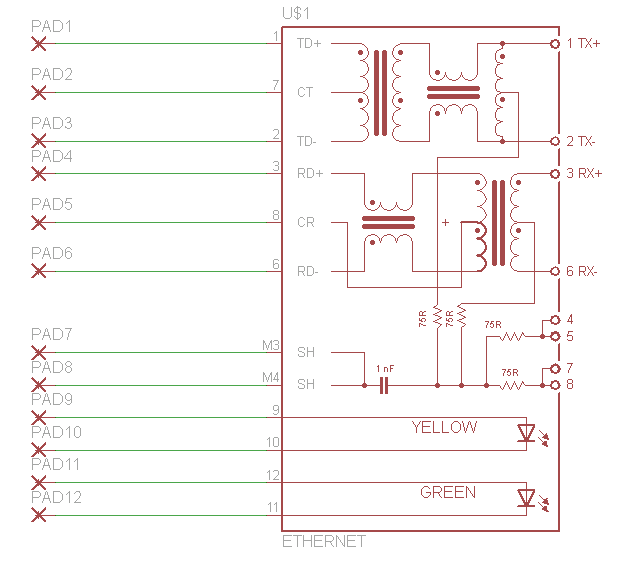 Is to de-solder the ACT LED and run a wire from each pad on the PCB from where the LED is connected and the solder the LED across the end of the two wires. I dubious as to whether that would work because the wires might introduce too much resistance. There is a way of connecting an LED to the GPIO and it giving the same functionality as the ACT LED, you might find this thread useful. I think going the GPIO route is probably your best solution. You can thread wires from the GPIO through the case to an LED. Not the answer you're looking for? Browse other questions tagged pi-3 board-leds act activity-led or ask your own question.